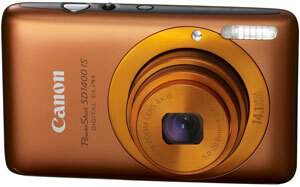 I am thinking of replacing my old digital camera with this 14.1 megapixel Canon PowerShot SD1400 IS. Mine is only 7 megapixel and I have this for years already. I believe this will be my best summer gadget for me when we start our summer family bonding once hubby is here. I found one at onecall website this cute orange digital camera and I am loving it. I like canon and if I buy another one it must be from canon. This is on sale and I have a onecall coupons that I can use to get more discount. Speaking of coupon, I am a sucker of it. When I buy big ticketed items I always want to have a coupon to at least lessen the total cost. Even buying groceries I always bring coupons with me. So with this one, I surely will use the coupon I have once hubby give me the go signal to get it. I'm very excited. I am liking the weather we have right now. It's not so hot but not so cold. When you go out you don't need to wear jacket or coat anymore. I can really feel that summer is already here. I am hoping that the rain will not visit us frequently. But I can't bank on it since this is the evergreen state and known to have more rainy days than sunny ones. On the other note, it's now the end of June and our Daddy will soon be here. I can't believe how time flies so very fast. I thought when hubby left that it's going to be a long year of his deployment, but lo days just folds out fast. There will be a month and a half of waiting and he will be here with us. I told him that now that the day of their redeployment is coming it seem like the days is becoming longer. I am just anxious of being reunited with him. I can't wait for the family bonding that we are going to make once he is home. I can see very bright days ahead of our family together. Last week I was checking out for Amazon books that I can buy for my kids. Then I stumbled upon some teaching aids like safety, alphabet, color, shapes and number charts that I thought would be helpful in teaching our kids. I decided to order it along with some of the board books that I saw. The board books are already here and the charts are still in transit. I am excited to post the charts in our daughters bedroom. The alphabet chart I posted on her wall before was torn and I needed a replacement. Good thing I found something I can get to have it replaced. When hubby comes home we will be going to bookstore again just like what we used to. This summer also I am going to bring the kids to the library as much as possible so they will learn to love reading more and appreciate the benefits of learning at a young age. When we had our first child every time she have red marks or rashes in her face I get easily worried. I am worried it might be an eczema. One time the what is called baby acne seemed to get worst that I brought our DD1 to the hospital and have her check. I asked her Ped if it's an eczema and if it is what could be the best eczema treatment to give to her. But gladly the Ped confirmed that it is only baby acne that got irritated. She told me that it will go away and just let it be. What I did also that helps was washed her face only with water and all her things was washed with mild detergent. I was happy when it finally faded away. I learned my lesson, so now with our DD2 I didn't get to worry too much when her baby acne came out. I am also glad its not worst as her big sister before. Our friend F will be hosting another get-together party this afternoon. Of course with this invitation Filipino food will be present. This is why we told each other that if we continue to do this we will surely have to seek for the top diet pills to help us loss the extra calories. Though for me at this time extra calories is much more needed for I am exclusively breastfeeding daughter #2. The party will be at three this afternoon. I am so looking forward to see them again. I was told there'll be other people invited that I will be meeting for the first time. It will be great to have another faces added to our circle of friends. If you don't have family around, the friends you meet along the way will be considered as your family. That is what I feel for my closest friends here who went above and beyond in helping me while giving birth and until now. I'm blessed to have friends like them. I have heard from a lot of my friends about getting breakouts after taking contraceptive pill. One of them was even scouring for best adult acne treatments after she had the breakout when she took a different pill brand than her usual pill. I just gave birth and I am thinking of taking the pills. My concern is that maybe I'll get the same effect too. I haven't used contraceptive pills before and I'm very anxious of using it. I was told of other options but I don't want invasive ones. I guess I really have to try it then wait and see for the result. I just hope everything will be fine with me and I don't have to suffer the zits. As promised in my past update that I will post pictures of our day at the park on Wednesday. The above photos are of our DD1 who enjoyed playing. She was able to try a lot of things without fear. There is one thing though that she's still scared of; the swing. I really don't know why she don't like the swing. I hope she will learn not to be scared while riding on it. I went grocery shopping on Tuesday. It was raining and I was pushing our double stroller loaded with our two kids, two bags of trash, empty boxes to recycle and the diaper bag. I did not open my umbrella because I don't have a hand anymore. I arrived at the grocery store and it was still showering. I parked near the entrance so we will not walk far. DD1 just walk while I put DD2's car seat on the shopping cart. Having two little ones and doing grocery shopping is not easy. But I am glad DD1 is behave when we are in the store. She just hold on to the cart and not run away from me. My main concern when we are in the store is for the little one to cry loud when she wakes up. I know babies cries but still other people get annoyed. So, what I do is get whatever I need as fast as I can and no side trips on other aisles. Proper positioning of lights in the house is important to get the desired effect of the interior design. A friend of mine just moved to their newly mortgaged house. It's very nice and they have pendant lights on the bar in their kitchen. I thought it is very lovely to look at. 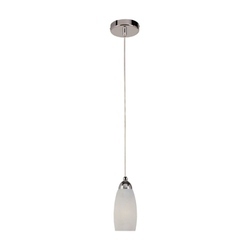 The lights are in modern design that matches to the design of the entire living room and kitchen. I love to have such like it in our future house. I like modern and contemporary design. I will surely look for modern fixture when I decorate our future house. My prayers for a nice weather was granted. Today's weather is fine. It's not raining although the sun is playing the peek-a-boo thing. My friends decided to have lunch at the park. We bought pizza and brought drinks. The park is not so crowded since most of the kids are still in school. We were there for three hours. The kids enjoyed the park as always and we enjoyed the not so cold and not so hot weather. We took photos of the kids while they're playing and of us while eating our lunch. I will upload the pictures later and post some here in my blog. It was the first time I went to the park after I gave birth. I am excited for our DD2 to also enjoy the park like her big sister in the future. I can't wait for them to enjoy playing together. But for now I am enjoying our little one. Lately I have been liking to just shop online instead of going to the store. I think this is because it is very tiring to go out alone and two small children in tow. Everytime I go to the store I don't stay there long. I only get what I need then leave since staying longer would just make my kids grouchy. This is why I am very glad that everything we need these days we can order online. Not only you can find food items, apparel, car parts, home and garden furnishings but there are also services such as insurance online, financial and education consultation and the likes. If I don't feel like driving, then I'll just open my computer and check out sites to order what I do need. So convenient. 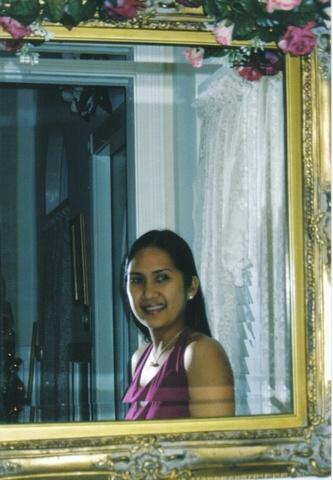 When hubby was here for his R&R leave, he mentioned to me that he will lower our car insurance premium. We akready paid in full both our vehicles and his truck is only in the garage until he comes back from deployment. He was thinking of taking out the mechanical breakdown insurance of his truck since I am not using it. I agreed to it at first but then I am thinking if my car breakdown I will be forced to use his truck. I don't want to drive a vehicle without full coverage insurance coz you can't tell what will happen while you're driving it. So now we are still paying coverage for both and it gives me the peace of mind while being out and about. Washington weather is known to be wet and soggy most of the time. For almost three years that we've been living here, I experienced first hand how it rained for almost the whole two weeks and the sun will appear for just a few minutes. The picture was taken last month when we had a day of sunshine. The kids were very happy coz they're able to play outside. But for the past few days, or shall I say for more than a week now it's been raining here. I went to do my errands and I got wet all the time. I have two kids to take with me and it's hard to stay dry. So I wish our weather will get better in the coming days. I want to see the sun and hopefully we can go out without fearing of getting wet especially the kids. Good thing though that the temperature is already creeping up and it's not as chilly as winter time anymore.